There's a plethora of dry rub recipes on the interwebs, as well as in your supermarket spice aisle, so I won't go into details on the dry rub. Other than to suggest putting it on the night before, then stash the ribs in your fridge until the next day when you smoke them. I find the 2.5 gallon zip lock bags work great for this. 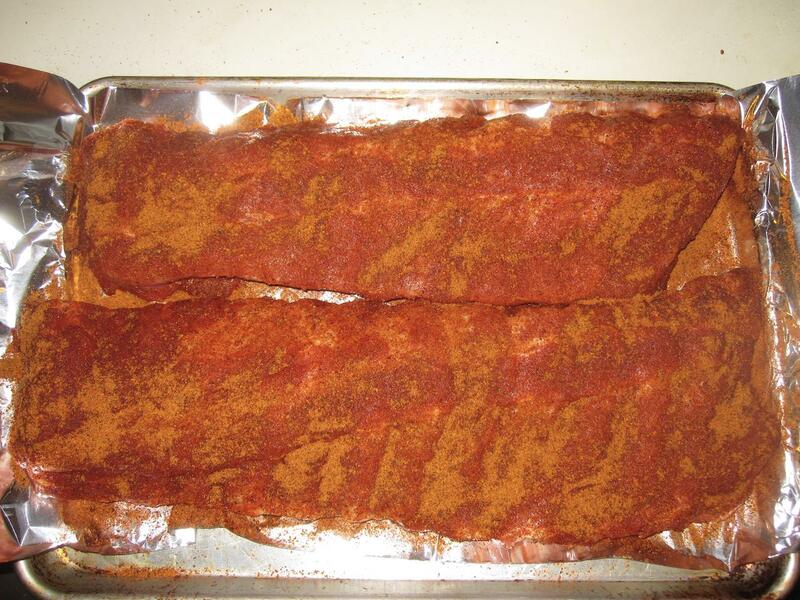 Also, try to remove the silverskin from the back of the ribs before putting on the rub. Yes, it's a pain to do, but you'll be happier when it is time to eat them. I smoke with cherry wood, mostly because it's free, I have wild cherry trees in the woods, so it is easy to cut some small limbs into one or two inch long pieces for use in the smoker. I use a gas smoker. Yes, I know, sacrilege. Still tastes the same to me. 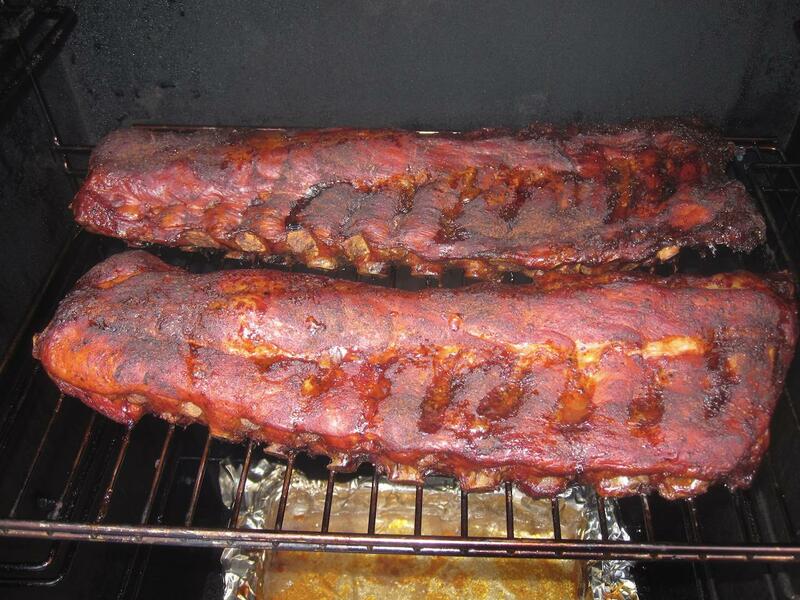 After smoking for 3 or 4 hours, I wrap the ribs in aluminum foil, then put in a low (200F) oven for a few more hours. This helps to finish them so they are tender and not dry. I usually don't use a BBQ sauce with it, but when I do, it's "G Hughes Smokehouse BBQ Sauce, Hickory Flavored", which is a no sugar added sauce, low in carbs but still petty tasty. You can find it at most supermarkets, even Walmart. This is much the same as my way - generous rub, overnight wrapped (I prefer foil), fruit wood for the smoke (cherry is good but I prefer apple), finish in the oven. But I do use a charcoal grill, a good old fashioned Weber. Turn them about once every 1/2 hour for even cooking.